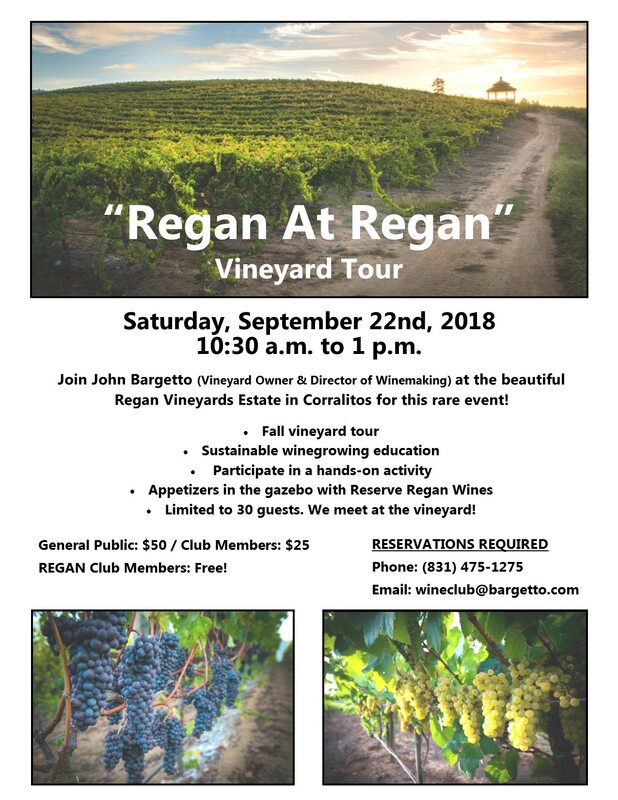 Join John Bargetto, Director of Winemaking and Vineyard Manager, for a rare tour of our estate vineyard. At the conclusion of the walking tour the group will meet in the vineyard gazebo to enjoy a variety of wines produced from grapes grown at Regan Vineyards and will savor an assortment of delicious appetizers. Limited to 30 guests.